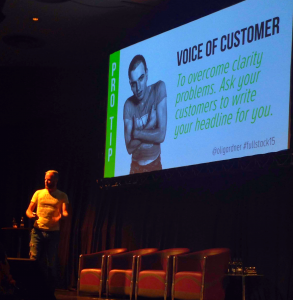 What Does The Movie Trainspotting Have In Common With Landing Page Conversions? | ASTRALCOM - Content Strategy, Conversion Marketing and Customer Acquisition. What Does The Movie Trainspotting Have In Common With Landing Page Conversions? NewsCred posted Oli Gardner’s landing page philosophy and he’s right on the mark, for the most part, anyway. Though, after reading the article, we can’t really figure out how Trainspotting fit’s in. Nevertheless, Mr. Gardner illustrates some excellent points to incorporate in landing page development. Copy, design, interaction and psychology, point out Mr. Gardner, are the cornerstones of an effective landing scenario. Of course he goes into some detail about each of these facets of design and the article is a good read on some mid-level conversion page tactics and helps shape the makings of successful outcomes. These statements couldn’t ring more true. Yet, we’ve discovered some additional on-page tactics that add even more impact and deliver even higher conversion rates. Have a look at our related posts How to Create a Successful Landing Page and The (Long & Sometimes Winding) Road to a Conversion, both from June 2014 and also The Mathemagical Customer Conversion Formula from February 2014 to learn even more. Certainly, if you’re looking to increase conversions from your landing pages, you could shortcut the process and give us a click or call us at 800.536.6637 and we’ll make it happen for you, pronto!